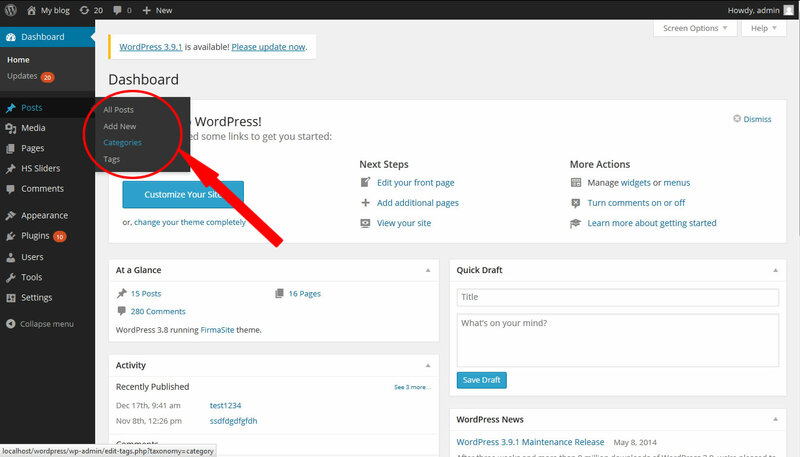 Categories are one of the important part in wordpress. It is used for organize your post. During creation of menu Categories are very useful. 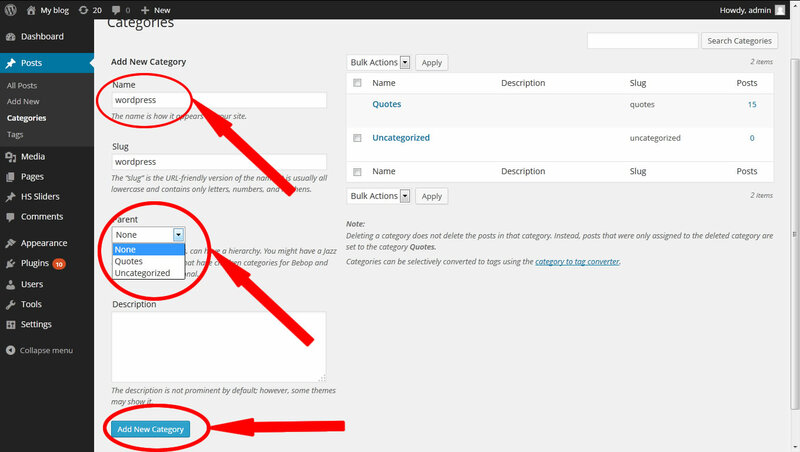 If you already know how to create navigation menus in wordpress, then you know the importance of categories. You can create the parent and child categories. Now I am going to tell you how to add categories. Go to Post –> Categories, the categories page will open. In Categories page you will see Add New Category section in left side, in that give your category name, slug and parent(if need) then click Add New Category button. In the below screenshot you can see that added category. 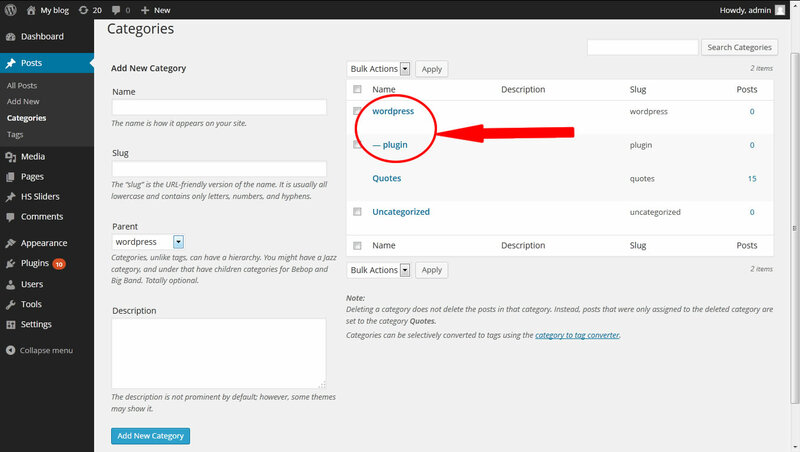 I added category wordpress and sub-category plugin. There is an option for edit, delete and view your category. Using this option you can rename or delete your category. Thus Category added, now you can use this category for you post. 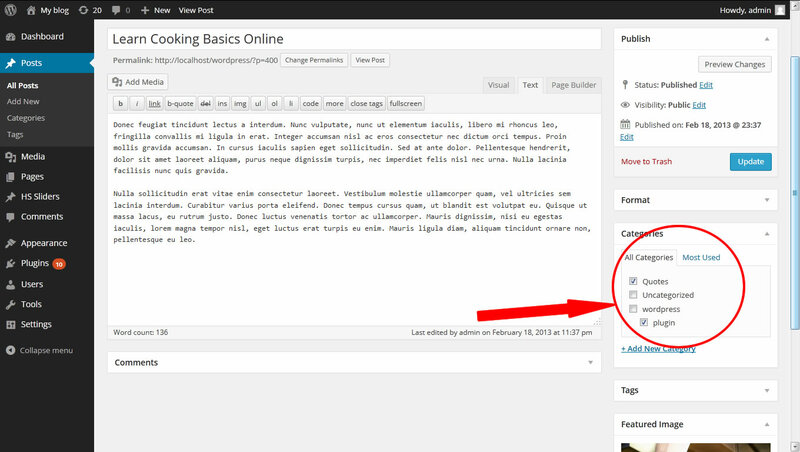 In the post editor you can see categories section in right side. 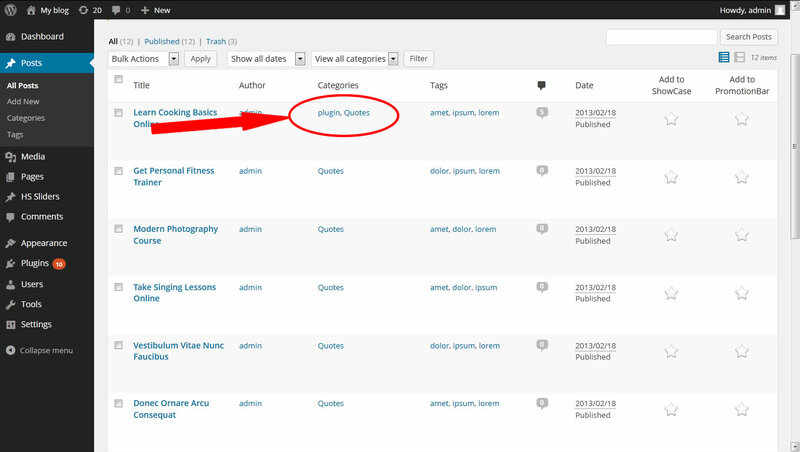 In that you can simply check the checkbox in your category and give update or publish. After done you can see your added category in post page. If you want edit it you can easily edit by using edit option. 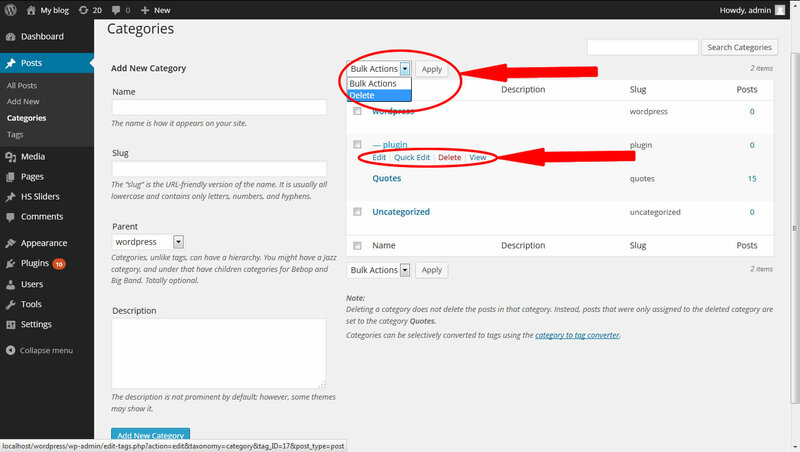 Finally you know how to add category in your wordpress theme. If you feel this post useful please share it.